2018 Nissan Leaf – If you are looking for a stylish car this year, then 2018 Nissan Leaf should be included on your list. 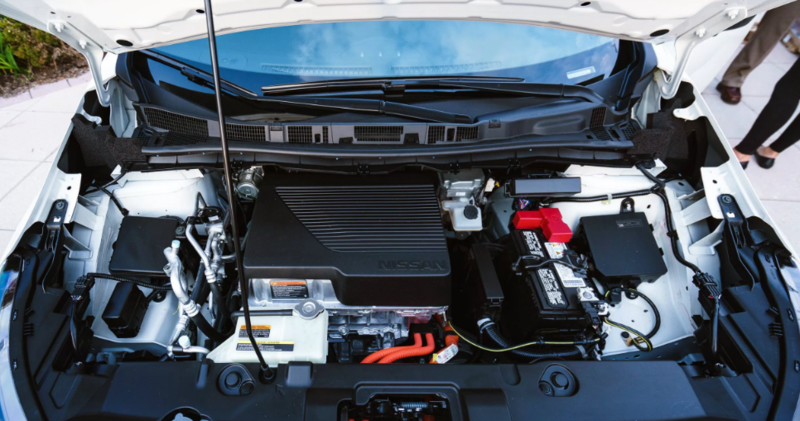 While their previous models have received some incremental changes, it is obvious that the new Nissan Leaf comes with the most comprehensive rework of the car to date. The new model’s styling is a complete departure when compared to its previous model. However, under the skin, the new model is still the same compared to its previous Leaf. To help you learn more about changes that have been made, you can read our review here. What is New for 2018 Nissan Leaf? Compared to its previous model, it is easy to say that the new 2018 Nissan Leaf receives a full redesign. It is not only the style that has been updated, but it also comes with other updates including a larger capacity battery which can deliver 150 miles of range. The new model also offers enhanced driver assistance features. There are three trim levels available as buyers can choose SV, S, and SL. The lowest trim which is the S comes with some standard equipment, but it is still a good choice as you can upgrade it with the optional Charge package for quicker recharging. The next choice is the SV which adds the navigation and charge package as standard. The SV trim adds LED headlights, a host of comfort features, and leather seats. Please note that all trim levels come with the same powertrain and suspension. They differ mainly in wheel choices, creature comforts, and infotainment. If you are not sure which trim level that you must choose, then the S trim can be considered. In fact, the S comes with keyless entry and start, a 110-KW electric motor, 16-inch wheels, a 5-inch central display, a rearview camera, a four-speaker sound system, and satellite radio. The SV adds more features such as 17-inch alloy wheels, adaptive cruise control, a 7-inch touchscreen, Android Auto, and AppleCarPlay. The SV also comes with the optional package which adds an auto-dimming rearview camera mirror, a power-adjustable driver seat, LED headlights and running lights, adaptive cruise control, and blind-spot monitoring. The top trim level is the SL which has all features offered by previous trim levels. But it also adds more luxury features including the Nissan ProPillot Assist. 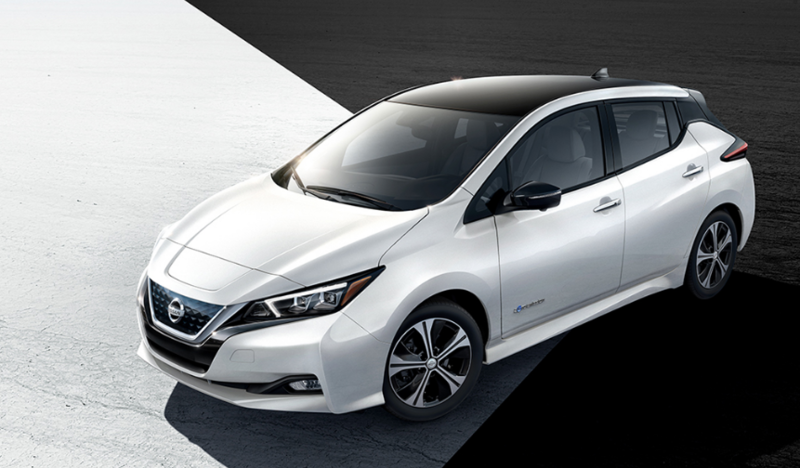 With the use of its powerful electric motor, the new 2018 Nissan Leaf feels more comfortable when jockeying for position in traffic than the original car. The brakes of the car feel smooth, but we have found the steering is not that intuitive. Comfort is one of the best points that we love from the new Leaf. It is hard to find faults as it can deliver a smooth ride. You can also enjoy the front seats which are comfortable. 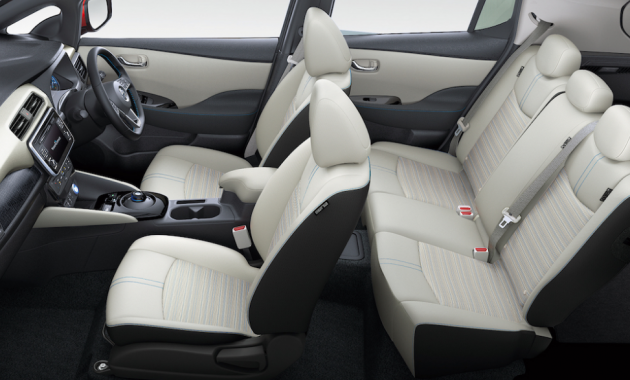 If you have owned Leaf before, you may realize that the interior of the car is similar. The new model is offered at a relatively affordable price. The base model starts $30,000. For those wanting to get 2018 Nissan Leaf, this car will be available in 2018.